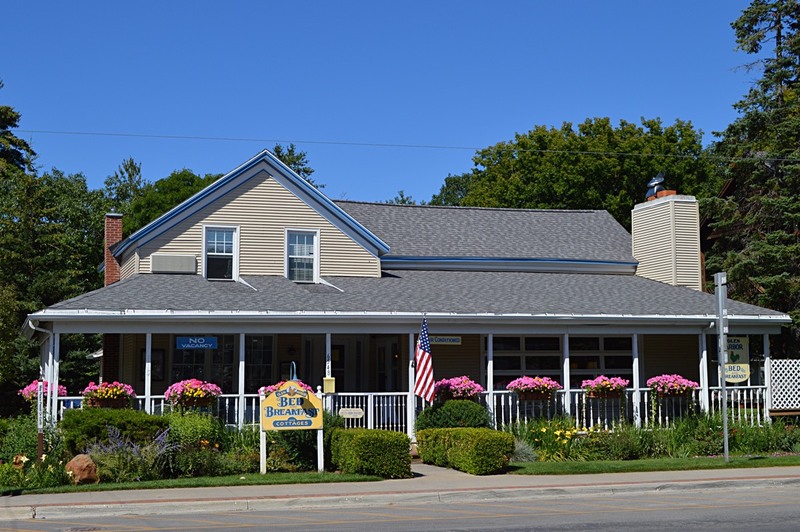 What is better than a turn-of-the-19th-century inn with striking furnishings and all modern amenities, warm hospitality, outstanding homemade breakfasts, and all in the very heart of Glen Arbor? Join us. Beautiful linens, comfortable reading chairs, bedside lamps, large mirrors and soft rugs. Rich colors and sumptuous furnishings. Rooms accommodate two persons, and suites up to four. Cribs, sleeping bags or folding beds cannot be accommodated. Children under 12 are limited to the rooms and suite on the first floor. 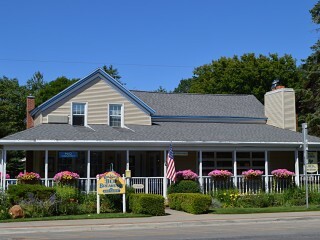 The Glen Arbor Bed & Breakfast is air conditioned throughout, Cable/VCR/DVD and WiFi 24/7 connectivity in every room and bedside reading lamps with charger outlets. Homemade breakfast, with the freshest ingredients, served each morning for guests in the inn. Always fresh-baked muffins, pastries or breads; an egg dish, waffles or pancakes; seasonal fruit and yogurt; our signature granola (see the recipe below), tea, and custom-blend roast coffee. Cottage guests have full kitchens to prepare their individual breakfasts.